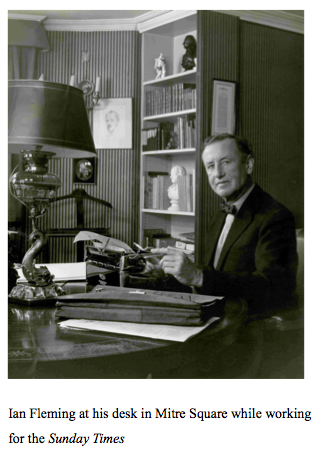 Henry Sotheran Ltd: 50th Anniversary of Ian Fleming's children's novel Chitty-Chitty-Bang-Bang sees launch of special facsimile edition. 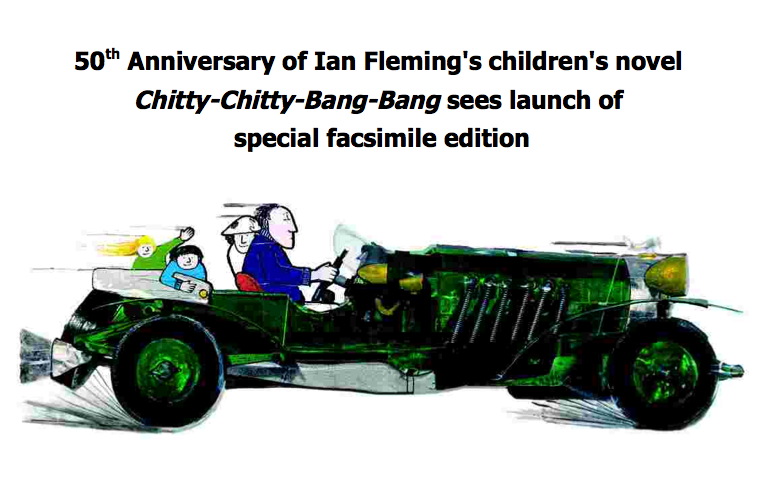 50th Anniversary of Ian Fleming's children's novel Chitty-Chitty-Bang-Bang sees launch of special facsimile edition. It may surprise you that the author best known as the creator of James Bond, also wrote the much loved children's book Chitty-Chitty-Bang-Bang. Just like Ian Fleming's novels aimed at grown ups, this adventure story features heroes, villains and gadgets but here the main protagonist is a magical car.Ian Fleming wrote the novel for his son Caspar but did not live to see it published before he died in August 1964. Illustrated by award-winning children's book illustrator John Burningham, it was originally issued in three volumes by Jonathan Cape and has been fascinating young boys and girls for fifty years. In January 2015, on the 50th anniversary of the publication of the final volume, Queen Anne Press will be launching a facsimile of the original Chitty-Chitty-Bang-Bang. The standard edition of three volumes in a slipcase will be available for £125, while 50 special editions, bound in cloth with gold blocking and accompanied by a portfolio containing two prints signed and numbered by John Burningham, will cost £600 each. The famous story starts with Chitty-Chitty-Bang-Bang being bought by Commander Caractacus Pott. It quickly turns into a car full of surprises. 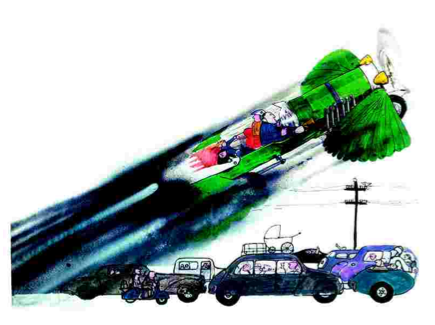 When Pott drives his family to the beach and gets stuck in a traffic jam, Chitty instructs its owner to pull a switch and they take to the air. Thus begins an adventure in which it transpires that Chitty can not only fly but swim and, if necessary, will do anything to save the Potts from harm. Their travels take them to France where, with Chitty’s help, they smash a ring of gangsters who were unlucky enough to kidnap the two Pott children and then go on to save a famous chocolate shop in Paris from being robbed. If you thought that the car was simply a figment of Fleming's imagination, you may be interested to hear that he based it on an aero-engined racing car built by Count Louis Zborowski in the early 1920s on his estate near Canterbury. Using machinery from redundant Zeppelins the machine was painted grey, shaped like a torpedo, and scored several record-breaking triumphs before crashing disastrously in 1922. In 1961 Fleming suffered a heart attack and while recuperating in hospital he used the time to write up the stories he used to tell his son Caspar. He sent the manuscripts to his publisher and the search for an illustrator began. The process took two years. 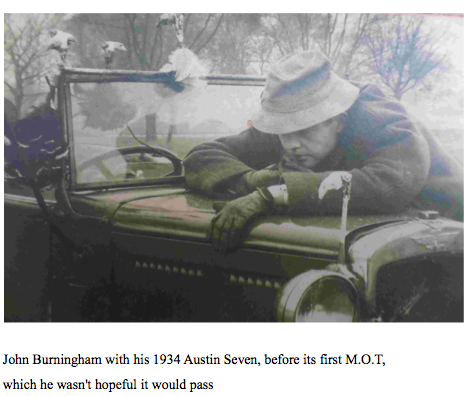 When Fleming's favourite cartoonist ‘Trog’ (Wally Faulkes) was unable to take it on the publishers commissioned John Burningham for the project. Burningham had just been awarded the Kate Greenaway Medal (1963) for his book Borka: The Adventures of a Goose With No Feathers. wanted the illustrations to look. Sadly, due to his ill-health, we only met once when I showed him my drawings. He was happy with my work, although he asked me to change the logo on a petrol pump and add the sign of a tobacconist in Paris, which I am not entirely sure, I ever added.” Fleming died on the 12th August 1964, his son Caspar's twelfth birthday. The first Chitty was published in October 1964 by Jonathan Cape, the second in November and the final volume in January 1965. In 1968 it was adapted as a film using a script written by his friend Roald Dahl.